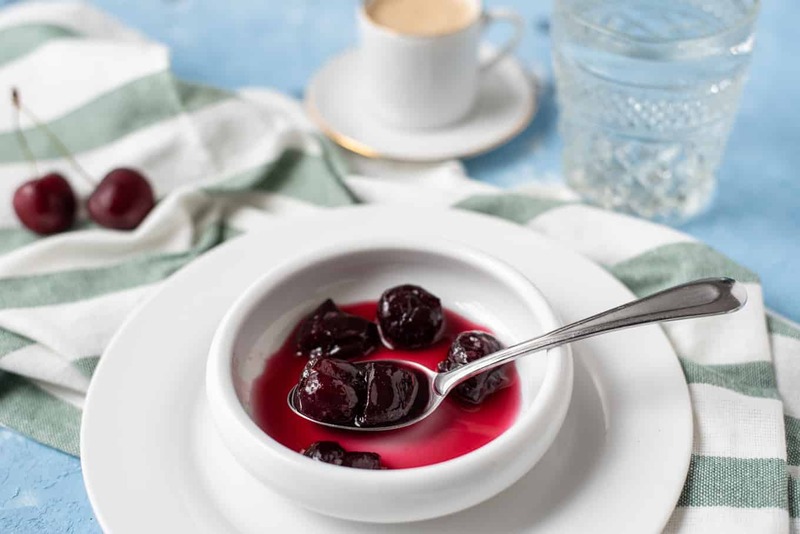 Sweet cherries are just as great an option for spoon sweets if you ask me. 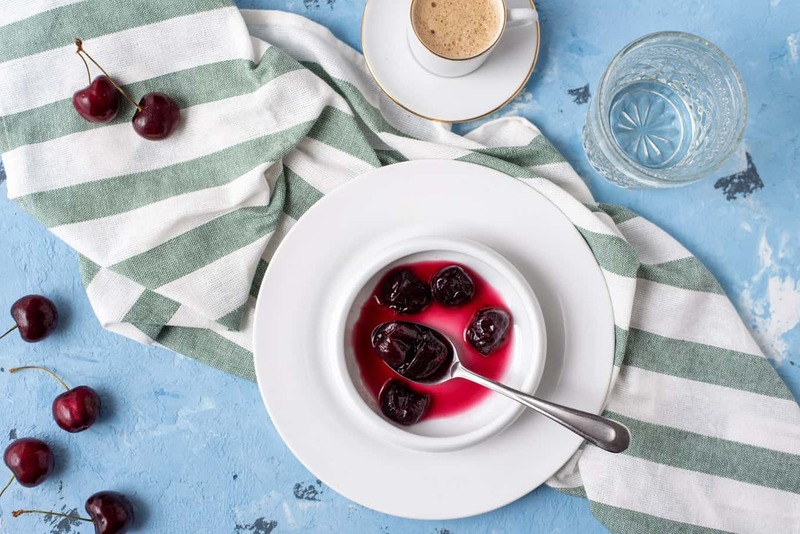 If making a spoon sweet recipe with sweet cherries, then the Greek name for this would be glyko kerasi (pronounced glee-KOH kheh-RAH-see). 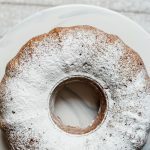 Other spoon sweets can be made with figs, oranges, grapes, walnuts, pistachios (my absolute favorite which I would always get from Aegina, Greece), and even tomatoes! Where you would find these in Greece mostly depends on the region. Tomato spoon sweet, for example, would be found in Santorini. 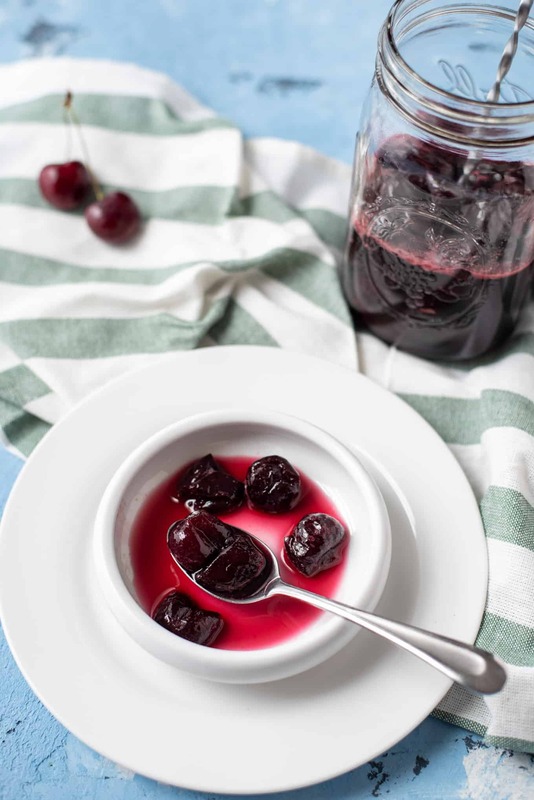 Making your own cherry spoon sweet recipe is easy, but it does require a little bit of patience. 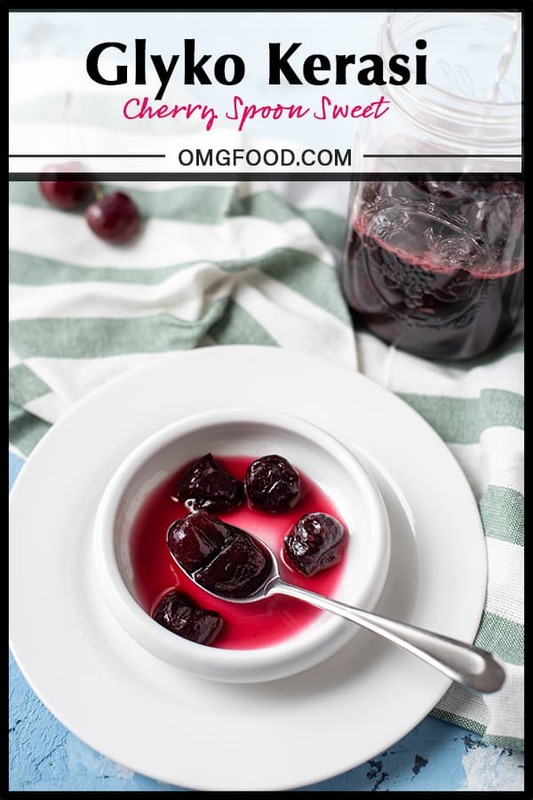 For starters, pitting cherries can sort of be an ordeal, especially if you don’t own a cherry pitter like me! 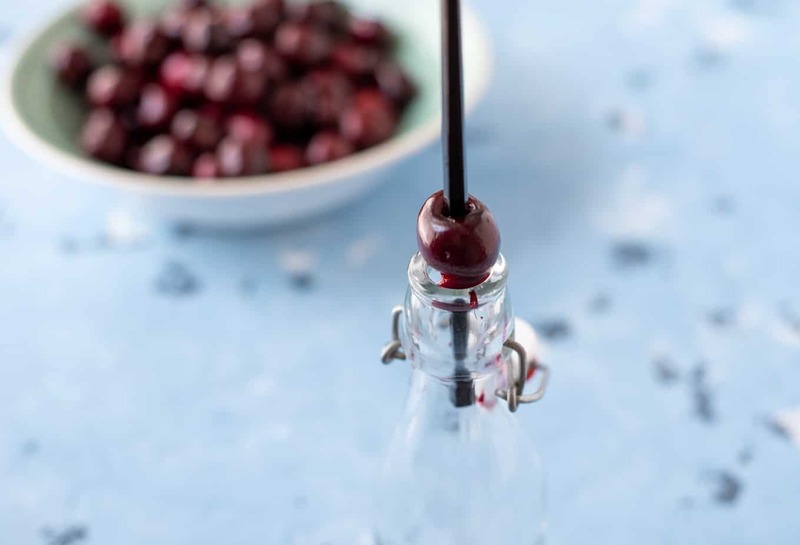 There are some hacks out there for pitting cherries, including using a safety pin (which seems like a pain to me really). 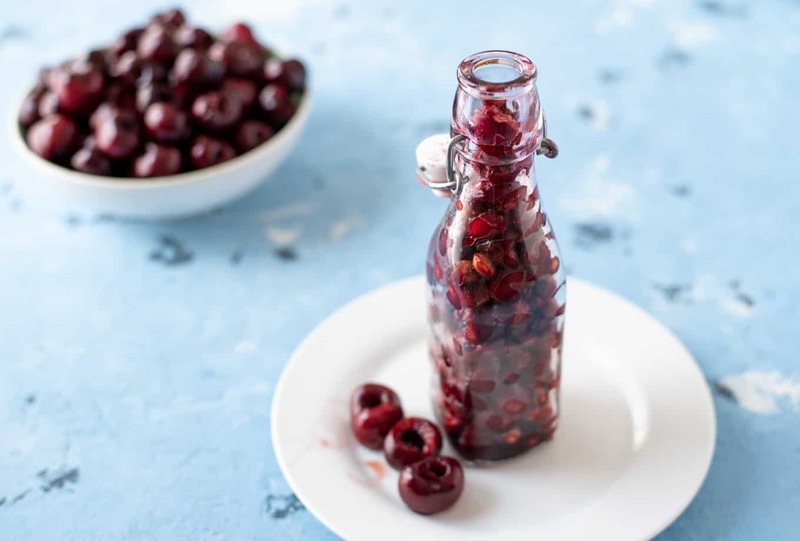 My favorite hack that will remain my go-to until the day I (maybe) buy a cherry pitter involves the use of a chopstick and an empty bottle. I find that removing the stems before the pitting process is easier to deal with. 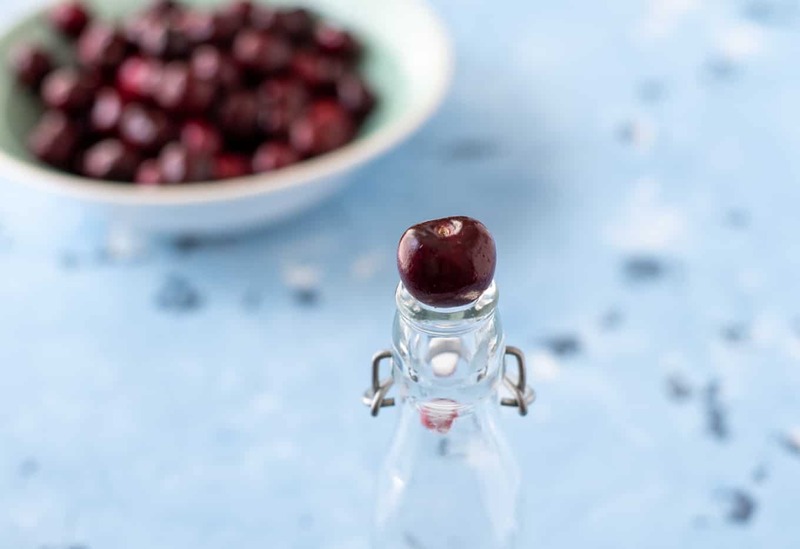 Start by placing the cherries stem-side up on an empty bottle and use a chopstick to quickly, but carefully push the pit through. 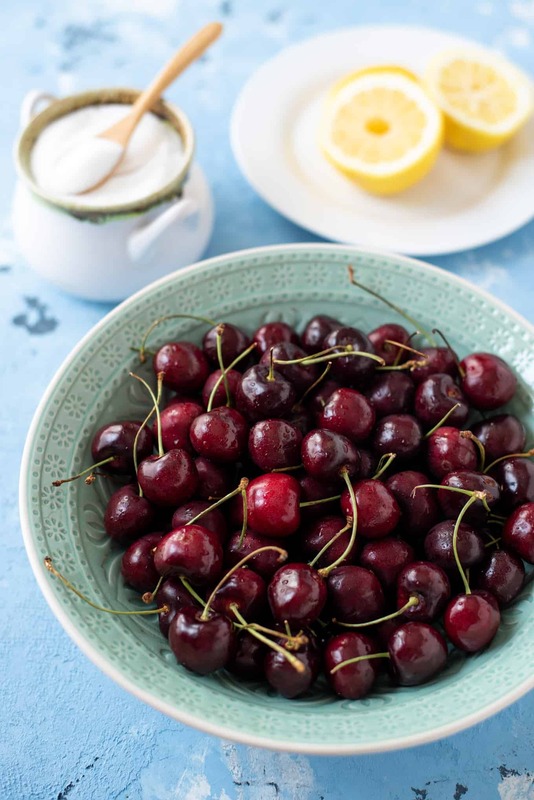 Your goal here is to successfully get rid of the pit, but keep the cherry intact if you can. It won’t be perfect every time and that’s okay! Remember that life is short and there’s no need for any fuss. As long as you aren’t completely squashing the fruit, you are golden. 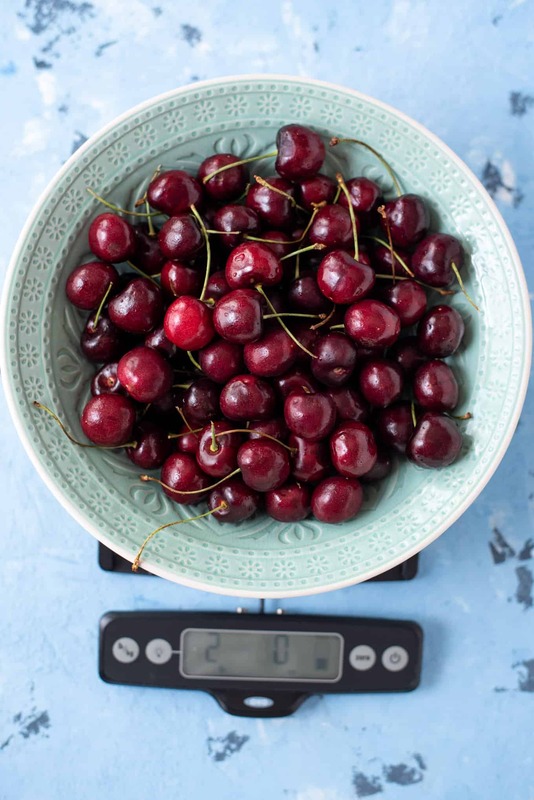 Also, because you will be working with two pounds of cherries, you will get cherry-stained fingers. Oops! The next step after you do all that pitting is all about waiting. 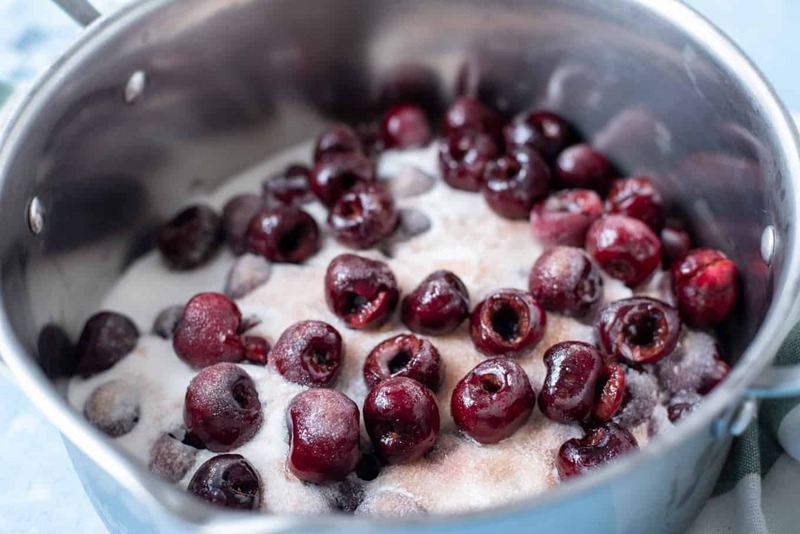 Layer some cherries and sugar alternately in a large saucepan until you’ve added all of those ingredients. Then cover and place in the fridge overnight. Why? Because you are allowing those sweet juices from the cherries to release. 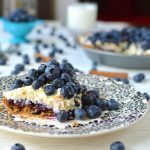 You can leave them in the fridge for 8 to 12 hours. 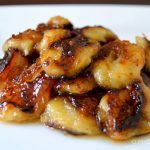 And then you pop it on the stove with some water to boil, add that lemon juice, and continue to let it simmer for a half hour or so, until the back of a spoon is coated nicely with the thickened syrup. I friggen love this stuff. It reminds me of childhood in my yiayia’s home. 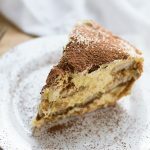 It reminds me of visiting my family in Greece. 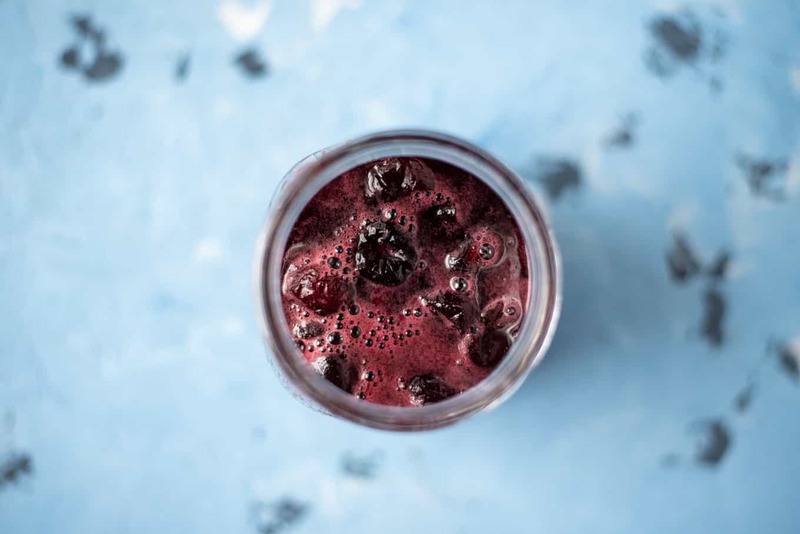 Warm, happy memories you don’t quite get from a jar you found at that specialty store (though that would still help to do the trick if a quick fix is needed). 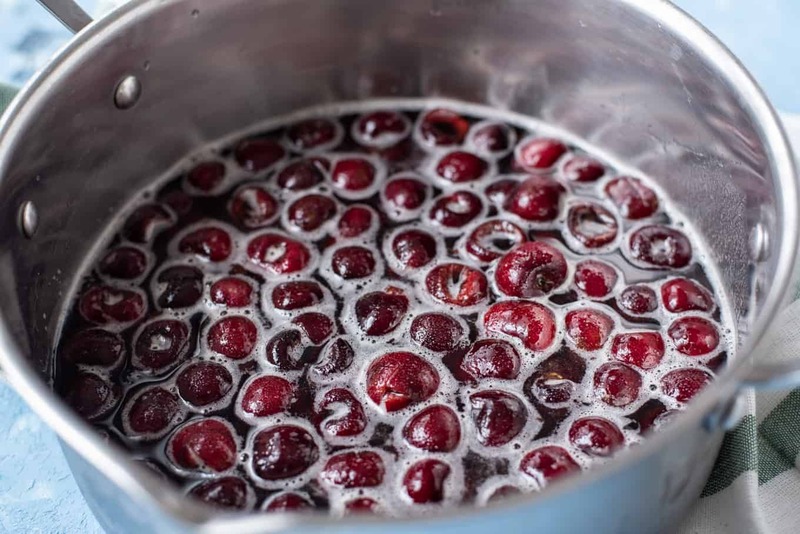 Wash the cherries under cold running water and drain well. 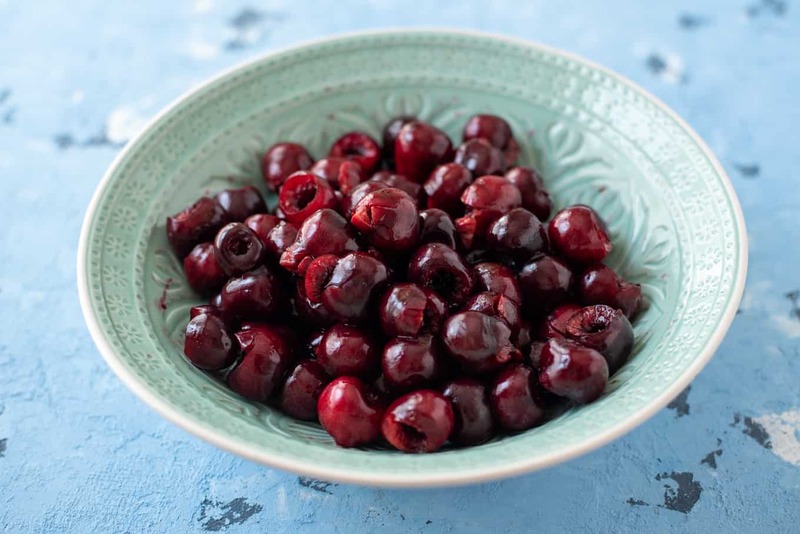 In a large saucepan, spread a layer of cherries, then sprinkle a layer of sugar. Repeat until both ingredients have been fully added to the pan. 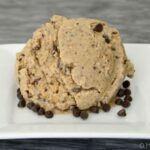 Cover and refrigerate overnight (at least 8 hours and up to 12). Remove the saucepan from the fridge, add the water, and place on the stove over medium heat. Let come to a boil and add in the lemon juice. 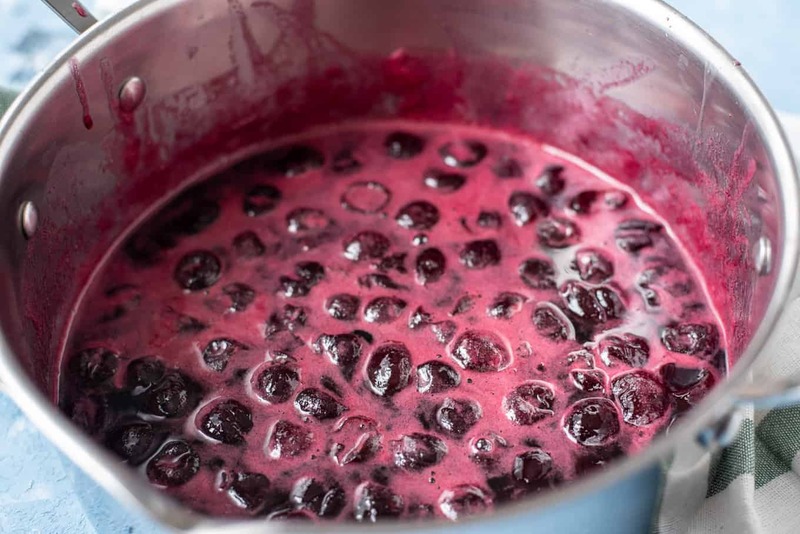 Reduce the heat to medium-low and simmer the cherries until the syrup is thick and coats the back of a spoon, about 30 to 35 minutes. Skim any foam throughout the cooking process and discard. Remove from heat and let cool. 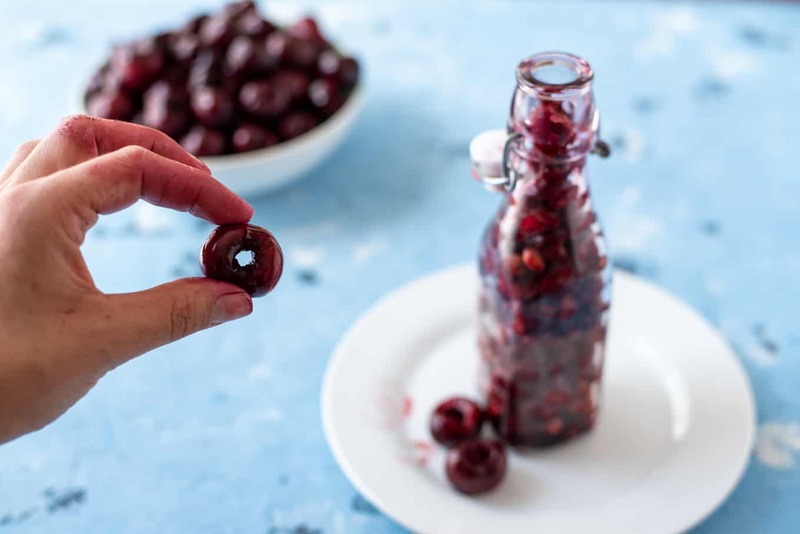 If you don't own a cherry pitter, you can use a chopstick and an empty bottle (it's my go-to method, which you can learn about in the blog post above). 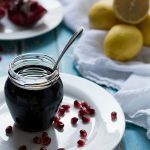 If you know the canning basics for preserving food, this recipe can be canned! 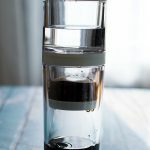 Fill about three to four 8-ounce jars to about a half-inch from the top. 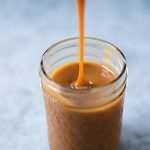 Don't know much about canning, but curious? Start here.